I love reading food blogs and meeting up with friends to eat at new places. One place that I've read about is the Eat Well Delicious kitchen located in the Fort. People raved that they did not use MSG in their Chinese dishes but that it was still a very tasty and authentic Chinese restaurant. Thus, after inspecting our site on a Saturday, I dragged hubby and V to this restaurant in the Fort in order for us to try it out. We actually ordered a lot of food as I was intent on trying as many of the dishes I'd heard about as I could. 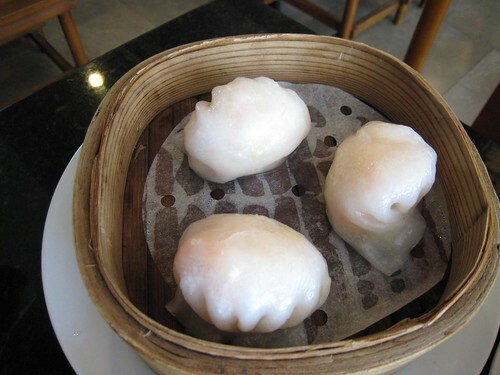 Of course what Chinese restaurant review would be complete without some dimsum in it? 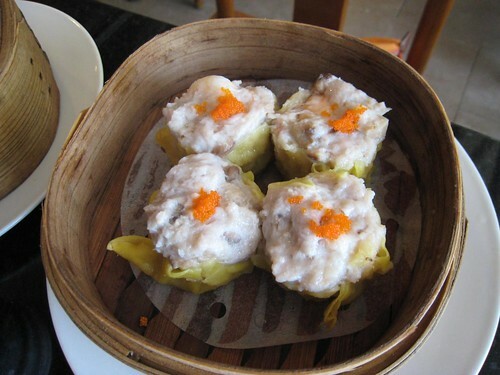 We ordered the Hakao which is the steamed shrimp dumpling and the Pork Siomai. I liked the hakao. The shrimp in the hakao is quite whole and not chopped up. It also tasted very fresh and not old at all which happens sometimes in other Chinese restaurants. The Siomai is good as well and was very tasty once paired with the usual toyo-calamansi-chili sauce mix. 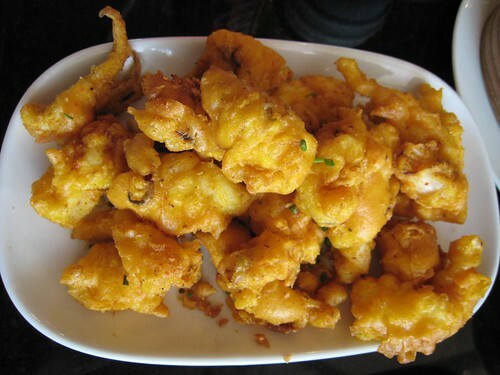 Whenever I eat at a Chinese restaurant I must have their spicy cuttlefish or salt and pepper squid. I honestly don't know why I'm addicted to it but I must order it every time. The cuttlefish at Eat Well looks like it was dipped in batter and not just rubbed in flour as this mixture envelopes the cuttlefish. I liked this dish a lot since it wasn't tough but was firm to the bite. It was sufficiently spicy as well. 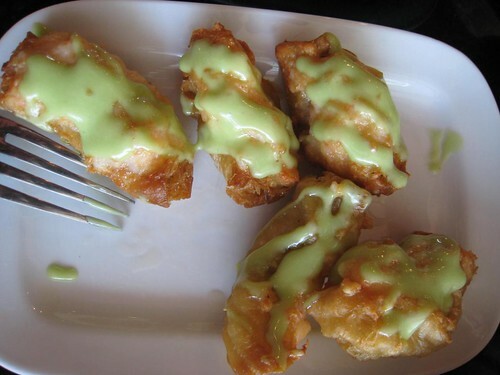 A dish that many raved about is the Fried Shrimp Puff with Wasabi Mayo. I was a bit skeptical of this since it didn't sound like a traditional Chinese dish. After the first bite however I didn't mind. It was a crunchy shell with soft shrimp inside. The wasabi mayo also nicely perked up the dish without overwhelming it. This was a favorite among us and a dish we wanted to bring others to the restaurant to try. 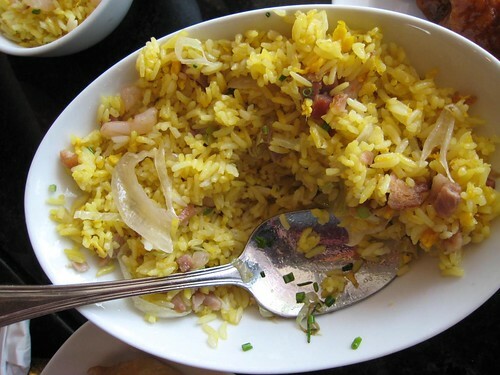 Inevitably we also ordered some staples of Chinese cooking such as the Yangchow Fried Rice and the Sweet and Sour Pork. Both dishes were very good. 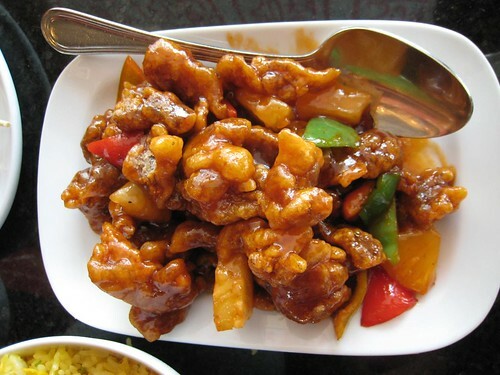 I'm actually really trying to figure out how to duplicate the sweet and sour pork at home. So far I haven't hit on the exact mixture of ingredients to produce that sweet and sour sauce that really keeps you going back for more. I love how the sweet and sour pork is not soggy but still a bit crispy underneath the sweet and sour sauce. I really must research on how to make it. Overall, I'd definitely bring my family to this place to try it out. The food is not cooked with MSG since we didn't feel dizzy after eating. The price is quite reasonable for the portions you get. Another sign that it is authentic is that we saw a lot of Chinese-Filipinos eating there. If you're in the Fort area and craving for some simple yet delicious Chinese food then drop by Eat Well located at Unit C, G/F Net Quad Bldg., 30th-31st St. Bonifacio Global City. There's a parking lot right in front of the restaurant.